This fall, the story of our changing relationship with the natural world will be comprehensively told through a groundbreaking exhibition encompassing three centuries of American art. Nature’s Nation: American Art and Environment presents more than 120 paintings, sculptures, prints, drawings, photographs, videos and works of decorative art, from the colonial period to the present, exploring for the first time how American artists of different traditions and backgrounds have both reflected and shaped environmental understanding while contributing to the development of a modern ecological consciousness. This sweeping exhibition engages a wide range of genres and historical contexts – from colonial furniture to the art of Jeffersonian natural science, from Hudson River landscape painting to Native American basketry, from Dust Bowl regionalism to modernist abstraction and postwar environmental activism – highlighting the evolving ecological implications of subjects and contexts of creation as well as artistic materials and techniques. 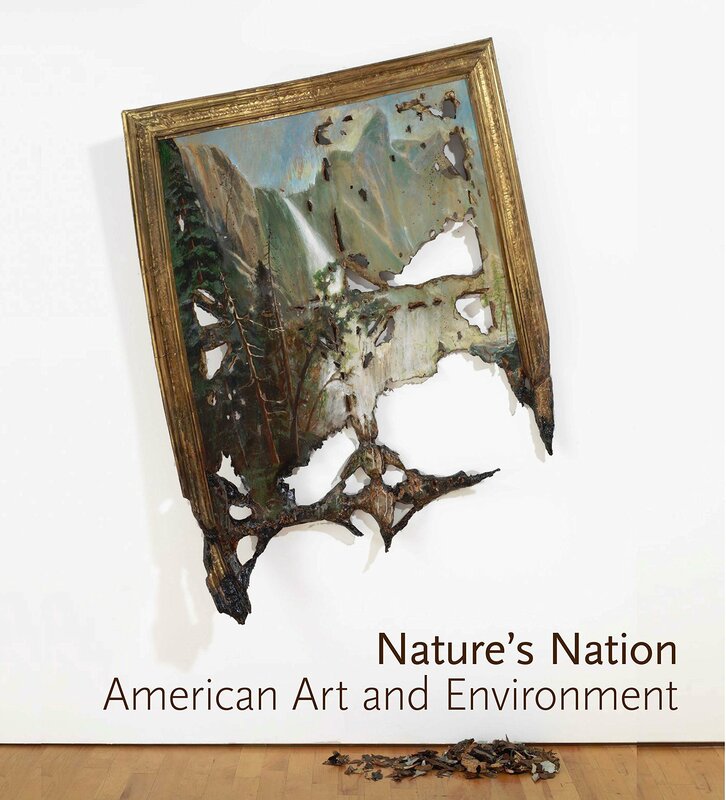 The result is a major reinterpretation of American art that examines both iconic masterpieces and rarely seen objects through a lens uniting art historical interpretation with environmental history, scientific analysis and the dynamic field of ecocriticism. 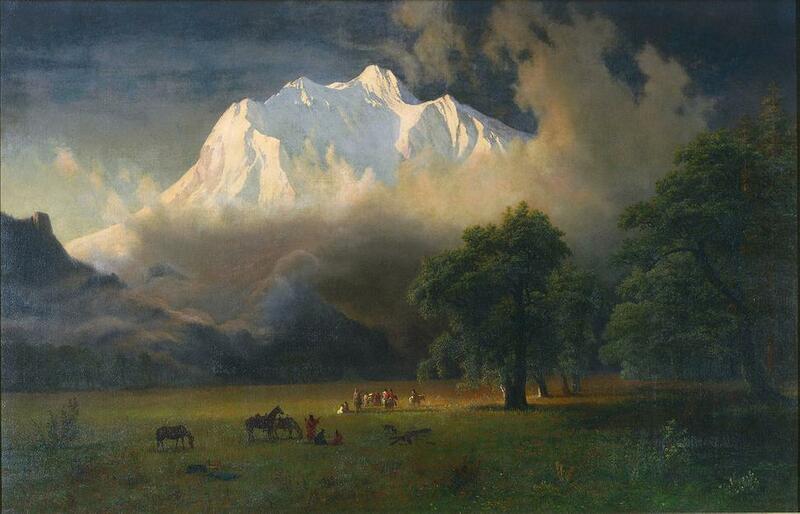 and Thomas Moran (Lower Falls, Yellowstone Park, 1893) are displayed alongside works by Valerie Hegarty (Fallen Bierstadt, 2007) and Jaune Quick-to-See Smith (Browning of America, 2000) that revise and complicate earlier perceptions of the pristine American environment. The fifteen diverse works in the introduction set the stage for the following sections, which together reveal our evolving sense of what nature means and how we as humans relate to it. Thomas Cole’s Home in the Woods (1847), and Americans’ plans for nature’s transformation, as in Frederick Law Olmsted’s enormous Central Park “Greensward Plan” (1858). Thomas Anshutz (The Ironworker’s Noontime, 1880) and a Standing Rock Sioux artist (a stretched buffalo robe of 1882). Georgia O’Keeffe’s iconic The Lawrence Tree (1929) and Robert Rauschenberg’s lithographic collage announcing the first Earth Day (1970). “The Museum is grateful to the many institutions and funders who enthusiastically supported this innovative new vision of North American history and culture,” Steward said. Lenders include 70 eminent national collections, both private and public, as well as works drawn from Princeton’s extensive holdings. 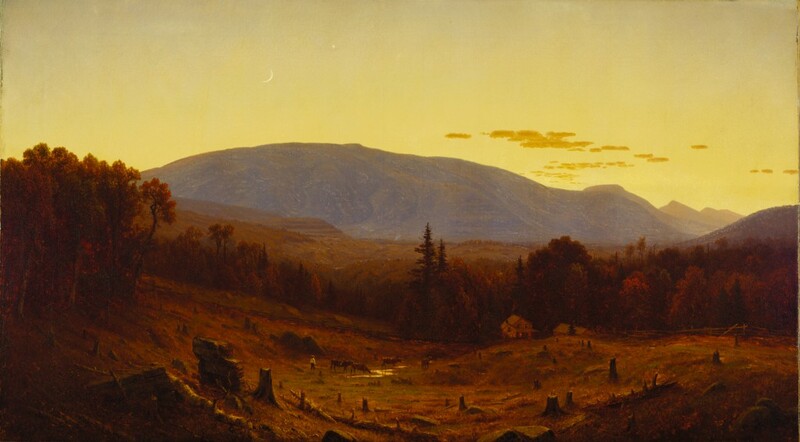 Reframing more than 300 years of diverse artistic practice in North America, from the colonial period to the present, Nature’s Nation: American Art and Environment examines for the first time how American artists have both reflected and shaped environmental understanding while contributing to the emergence of a modern ecological consciousness.